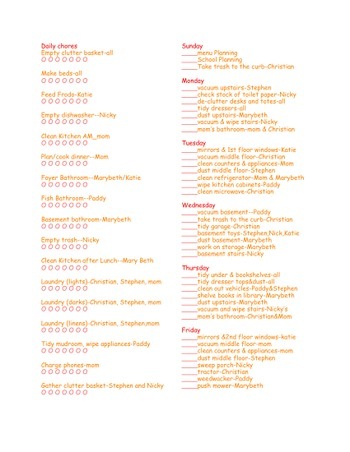 This post is for those of you who asked for a peek at the new chore chart. Not sure if it will be helpful to anyone else; it's geared to my house and my kids and my little quirks. You're welcome to it for what it's worth.